Gov. Kay Ivey was on hand to present a ceremonial check drawn from the state’s Community Development Block Grant program. The $4 million contribution will probably pay for more than half of the total project, Dean said, noting final costs have not been fixed and timeline for the project has not been set. 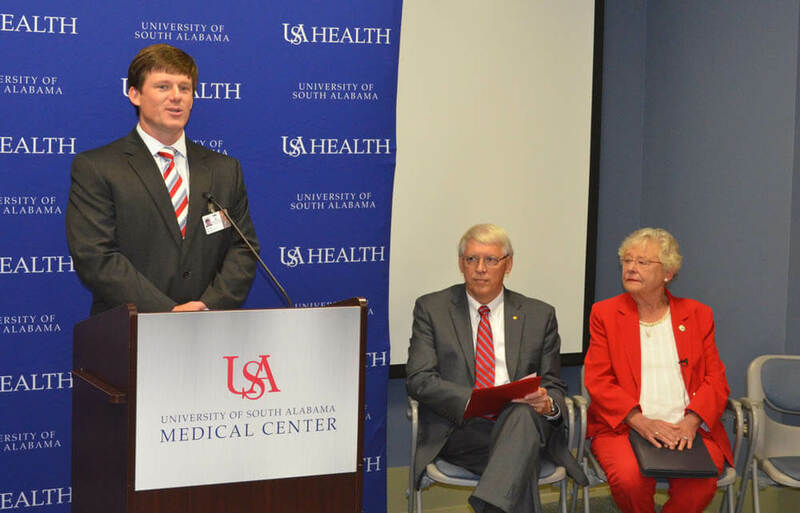 Lagniappe | University of South Alabama Hospital Administrator Sam Dean, USA President Tony Waldrop and Gov. 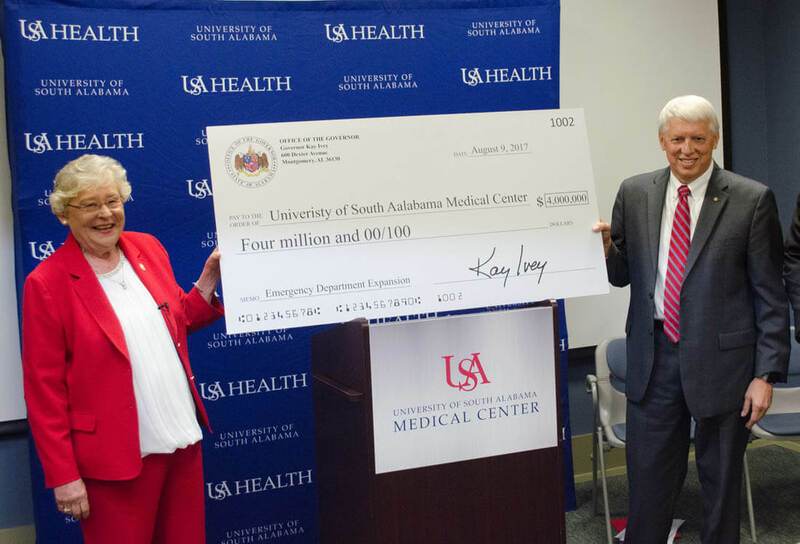 Kay Ivey announced a $4 million grant for the expansion of the Level 1 Trauma Center Aug. 9. According to a news release, as a state-certified Level 1 Trauma and Burn Center, USA Medical Center serves as the major referral center for patients with traumatic injuries from southern Alabama, southeast Mississippi and portions of northwest Florida. Last year alone, USA Medical Center served patients in 53 counties. The Medical Center’s designated trauma team — which includes around-the-clock trauma surgeons, cardiovascular surgeons and neurosurgeons — treats an average of five critically injured patients a day, which is more than 1,700 people each year. 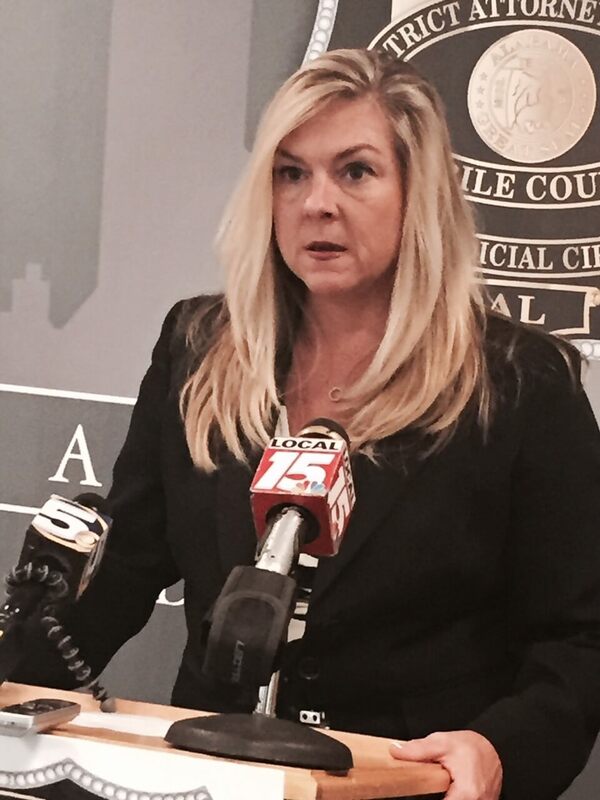 Ivey was in Mobile as part of her statewide “Listen, Learn, Help, & Lead Tour,” the objective of which is unclear. 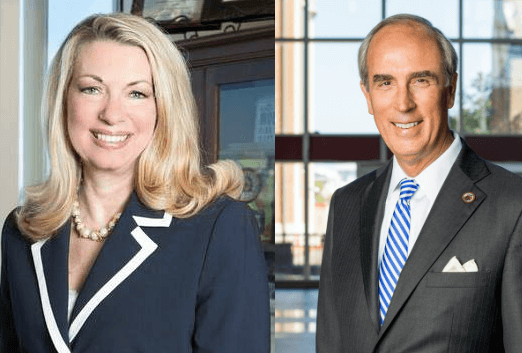 Ascending to the governor’s office earlier this year after Robert Bentley’s resignation, Ivey has yet to announce whether she’ll run for office when her term expires in 2018. She also visited the APM container terminal at the Port of Mobile, a new mixed-used development under construction in downtown Mobile, and held a roundtable discussion with local leaders at the GulfQuest Maritime Muesuem. One potential gubernatorial candidate, State Sen. Bill Hightower, who has filed campaign paperwork with the Alabama Secretary of State, said he was “delighted” with Ivey’s visit, noting his father Dr. Billy Hightower helped establish the open heart surgery center at USA Medical Center. “She tied the announcement to the need to invest in infrastructure, and like a highway, a Level 1 trauma center is crucial to attracting new businesses and industry,” Hightower said. Speaking of his own unofficial campaign, which has raised close to $450,000 as of July 31, Hightower said he’s been “very encouraged” by the financial support. “I’ve been moving throughout the state talking to leaders and people about what’s important and I’ve been delighted about how they’ve responded and I think [the money] is a measure of their interest,” he said.